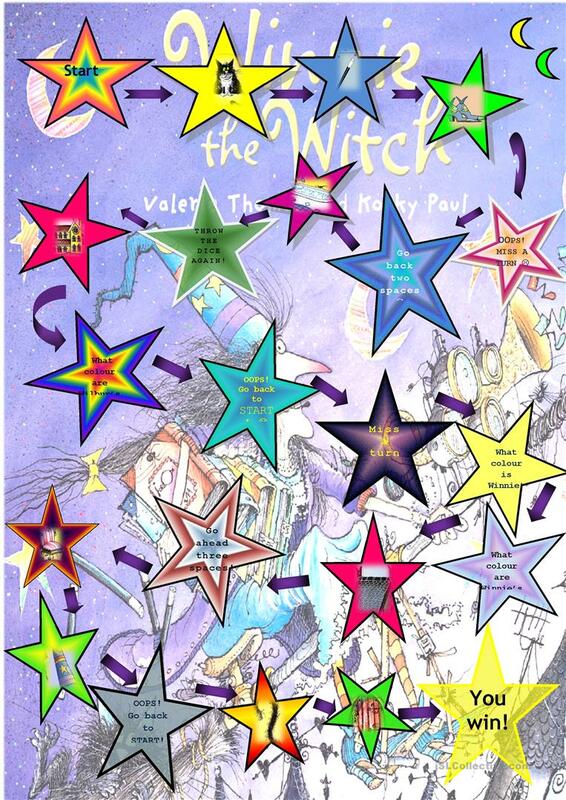 In this game the students have to either say what they see in the star or answer the question related to the book Winnie the Witch. I hope they'll enjoy it! The above downloadable teaching material is intended for elementary school students and kindergartners and nursery school students at Beginner (pre-A1) and Elementary (A1) level. It is a useful material for consolidating Nouns in English, and is excellent for working on your class' Speaking skills. It features the vocabulary topic of Halloween. Maryyy is from/lives in Argentina and has been a member of iSLCollective since 2011-04-04 23:42:34. Maryyy last logged in on 2014-06-12 00:18:58, and has shared 5 resources on iSLCollective so far.